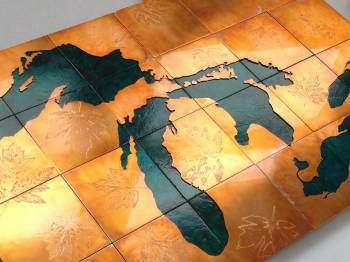 Custom copper and metal maps celebrate the places that are special to you. Just choose a location, and we’ll email you a sketch for approval. Want to make any changes? No problem! No cutting takes place until you love it. Like what you see? Great! You’ll be sent an invoice, and your map will be created especially for you. Custom maps can be made in a variety of colors, including copper, red, blue, ice blue, teal, green, ice green, plum, silver, smoke, and black. 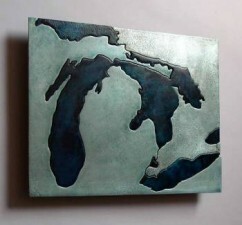 They can be customized in a variety of ways, including marking a location that is special to you. 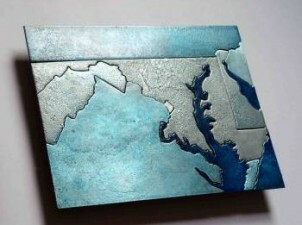 Custom maps can be any size, from small gift-sized pieces to room-sized installations. 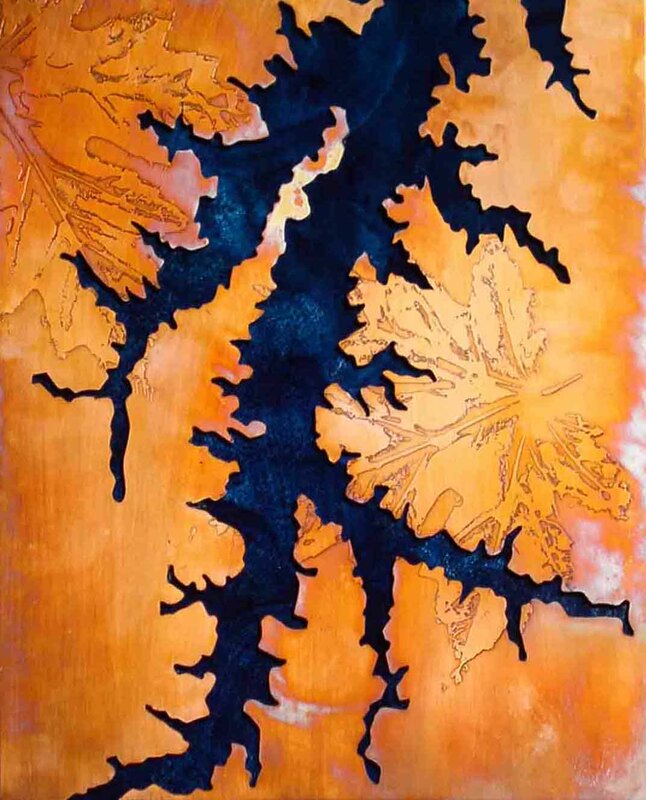 Larger works are created in a tiled format and mounted to a substrate so that they hang as a single piece. All artwork comes ready to hang, no framing necessary.